These Hunter Pacific Extension rods are used to lower the ceiling fan to the required height. This rod is suitable for Hunter Pacific’s Azure and Typhoon ranges. They are available in fixed sizes and can be cut to size by the installer, if shorter rods are required. Sizes available are 90cm and 180cm. This rod has a diameter of 21mm. 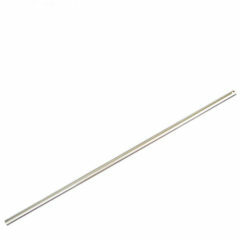 This extension rod is specific to the Mercator ceiling fan range. Although it is a fixed size, they are also able to be cut down to size by the installer if required. 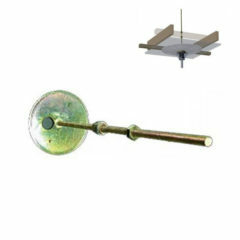 This extension rod is specific to the Mercator Grange ceiling fan range. Although it is a fixed size, they are also able to be cut down to size by the installer if required. This extension rod will suit the Brilliant Aviator ceiling fan. It can also be used with the Maelstrom in Oil rubbed bronze. Supplied without wiring looms and can be cut to length by your electrician (if required). The Martec Extension rods are used to lower the ceiling fan to the required height. Available in 90cm however can be cut to size by the installer, if shorter rods are required. This extension rod will suit the Hercules ceiling fans. This extension rod will suit the Fanco Infinity ceiling fan or the Mercator Trinidad II. 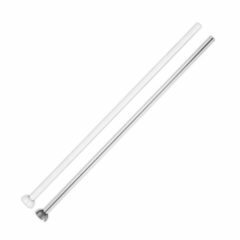 These Cinni Milano extension rods are suitable for the Milano DC ceiling range and are specifically used to lower the ceiling fan to an adjusted height. 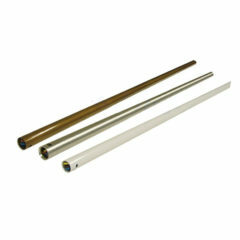 The extension rods are available in fixed sizes and can be cut to size by the installer. Available in 50cm and 100cm lengths and to choose from brushed aluminium, white and black, the same colours as the fans. This extension rod will suit the Brilliant Vortex ceiling fan. These Loft Extension rods are used to lower the Loft ceiling fan to the required height. They are available in fixed sizes and can be cut to size by the installer, if shorter rods are required. Sizes available are 90cm and 183cm. These Quantum Extension rods are used to lower the ceiling fan to the required height. Suitable for use with the Aeroblade Quantum ceiling fans. Includes wiring loom. 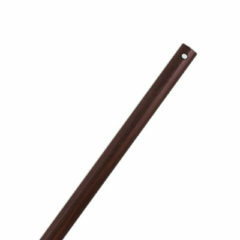 This extension rod will suit the Brilliant Tempest ceiling fans. It comes with a wiring loom. These Atlas Extension rods are used to lower the ceiling fan to the required height. Suitable for use with the Atlas Acqua and Diane ceiling fans. T Hooks are used when installing a ceiling fan on an uneven ceiling surface, typically when there is a ceiling rose. Especially during renovations and refits in federation housing the problem often arises where the owner would like to install ceiling fans but would also like to keep an existing ceiling rose. This T-Hook allows for one hole to be made through the existing ceiling rose which reduces the impact on the appearance if at a later stage the ceiling fan is removed. 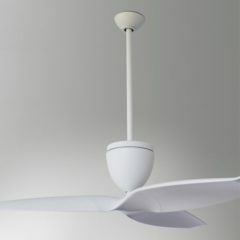 For functionality the ceiling fan must be secured to a fixed mounting in the ceiling. The depth of the plaster in the ceiling rose does not allow for this fixation without the aid of the T-Hook. This extension rod will suit the Brilliant Maelstrom and Hercules ceiling fans. These Fanimation extension rods are for the Zonix and Spinstar ceiling fan only and used to lower the ceiling fan to the required height. They are available in fixed sizes and can be cut to size by the installer, if shorter rods are required. Available in a 90cm length.